Shay's newest podcast comes to you directly from the exhibit floor of Ratha Con in Athens Ohio, where she's joined by a special surprise guest -- Zoe Hinton, co-host of Star Wars Geek Girl! The two discuss Ratha Con and conventions in general and talk a lot about cosplaying, along with various other topics that arise, such as the Solo: A Star Wars Story Red Carpet, wacky dreams, and... wait for it... wait for it... Star Wars Rebels!! (Seriously, what did you expect from these girls?) Special thanks again to Zoe and her family, as well as the organizers of Ratha Con for letting The Elven Padawan be a part of 2018's show, and all those who stopped by the table to check out TEP and who participated in our part of the RathaQuest. Please subscribe and leave a review on SoundCloud, iTunes, and GooglePlay Music! Follow on Twitter: twitter.com/ElvenPadawan If you have a question or comment, send them to me through Twitter or at www.elvenpadawan.com/contact/ Check out the website for shownotes and a complete list of all soundeffects and music used in this episode: www.elvenpadawan.com. Users who like The Elven Padawan - #16 - LIVE from RathaCon 2018!! Users who reposted The Elven Padawan - #16 - LIVE from RathaCon 2018!! 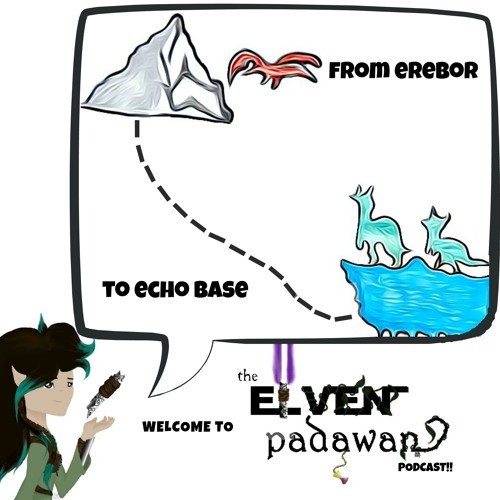 Playlists containing The Elven Padawan - #16 - LIVE from RathaCon 2018!! More tracks like The Elven Padawan - #16 - LIVE from RathaCon 2018! !